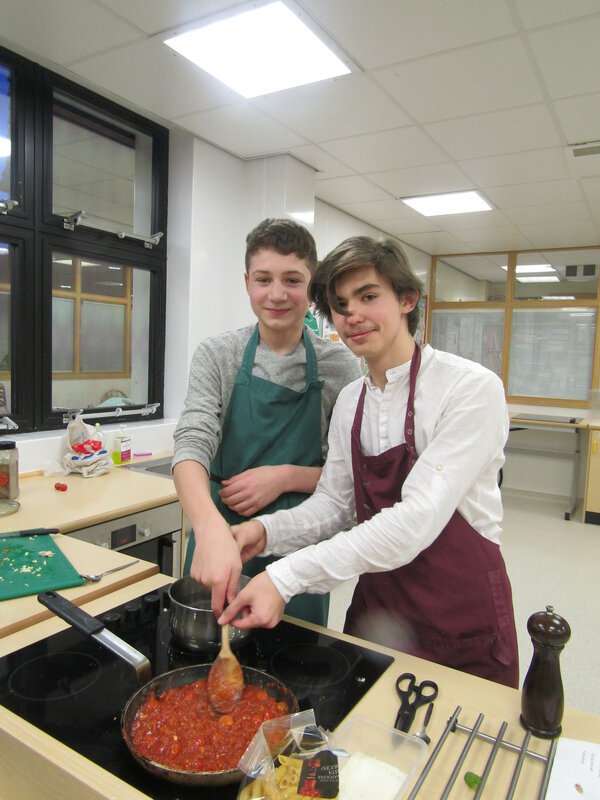 At the Year 9 (III Group) Bake Off evening last week the exceptionally high results didn’t get pasta the judges! 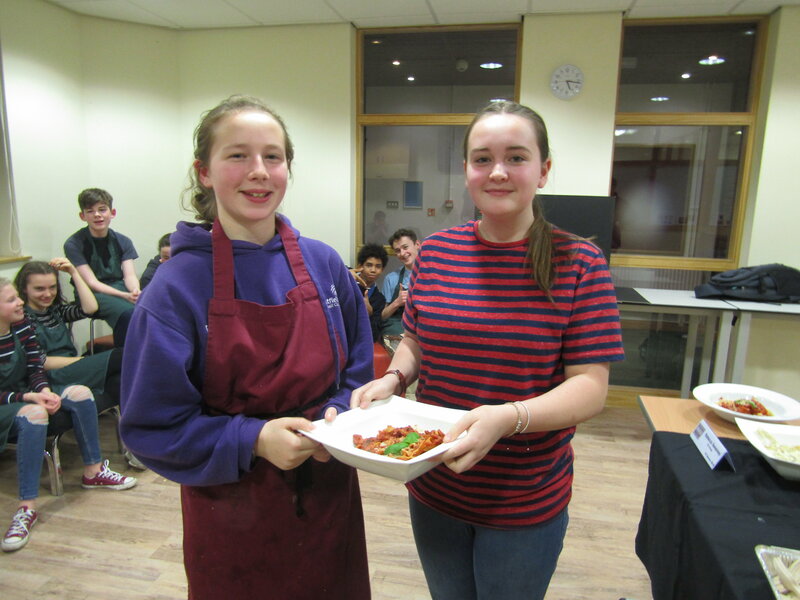 The competitors made a range of pasta and sauces for their creations. 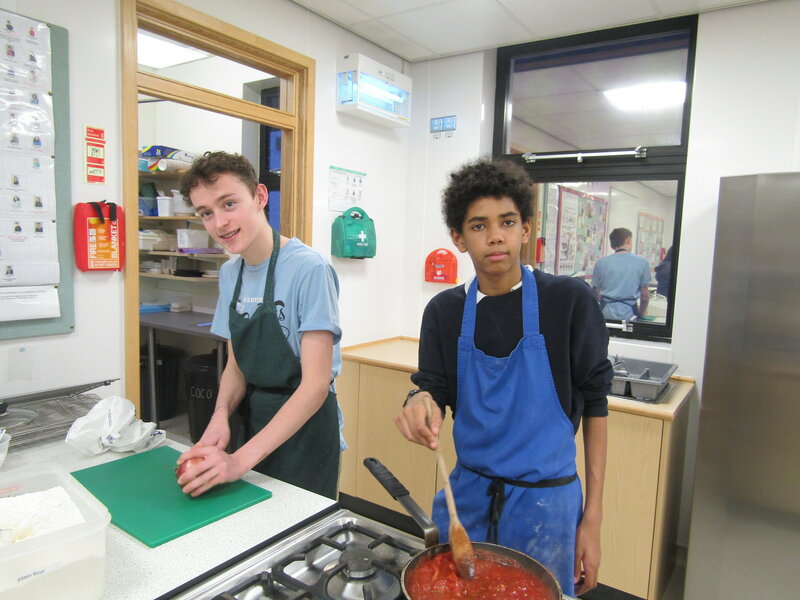 From Susanne’s Company, Hannah, Lydia, George B and George D made pasta puttanesca and pasta with tomato and spinach. 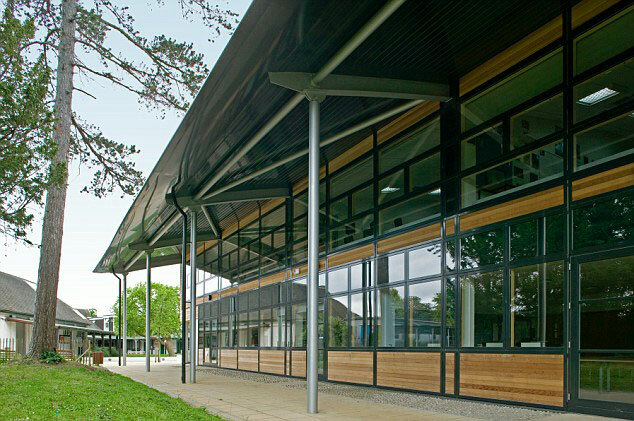 Rounding things up were Becky’s Company with their pasta with basil, mozzarella and veggie pancetta alongside a veggie tagliatelle with bolognese. 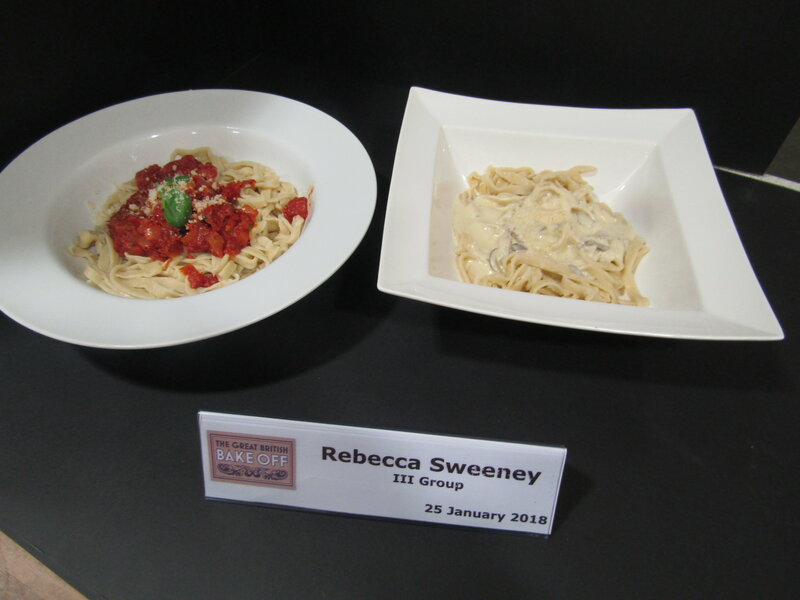 The judges, Jon and Wendy, found their job really difficult given the standard of the competition but were pleased to announce Rebecca’s Company as the winners, as both of their dishes tasted delicious and had excellent flavour, texture, appearance and colour.